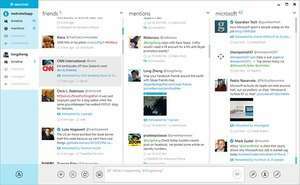 MetroTwit is a small and now discontinued Twitter client for Windows. It was available as both a Windows 8 Metro app and a Windows desktop client, but has since been removed from the Windows store. The program is effectively a Windows-based Twitter client which accesses Twitter with an API. Unfortunately due to access limits imposed by Twitter, the developers of MetroTwit discontinued it. Version 1.1.0 is a freeware program which does not have restrictions and it's free so it doesn't cost anything. For security reasons, you should also check out the MetroTwit download at LO4D.com which includes virus and malware tests. Additional screenshots of this application download may be available, too.